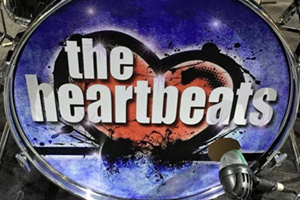 The Heartbeats bring a fusion of soaring vocals and harmonies, together with a solid instrumental backing, that recreates the sound, feel and excitement of music that swept across the decades. Paying their own particular tribute to such artistes as The Beatles, Billy Fury, Eddie Cochran, Buddy Holly, The Hollies, Ben E. King, Creedence Clearwater, Fleetwood Mac, The Kinks and other great names of the day, they will take you on trip down memory lane, where one song or another can trigger memories of dance hall days, a first love or even a break up! They also deliver some outstanding instrumentals and guitar swing numbers that are seldom played by any other band on the circuit, but are guaranteed to create a buzz on the dance floor.